It seems quite easy; we can take the pill for a headache and forget about this completely. Unfortunately, things are not so simple. 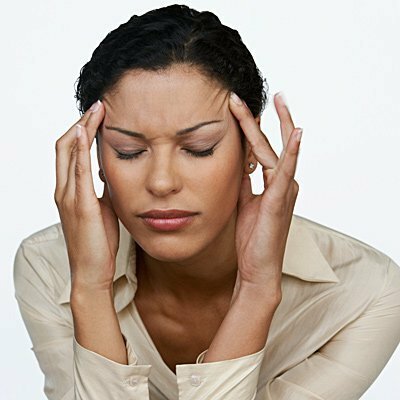 There are hundreds of treatments from headaches but not all of them provide the expected positive effect and many of them have side effects. Reasons of headache are different, it can heart because of a cold, stress or any other reason. Sometimes the headache appears so often that it becomes unsafe to take medicines or it appears at the moment when there is no nearby pharmacy with drugs. Instead of relying on the rapid healing with medication we should try some of these natural remedies that have proven effective result even in case of most terrible pains. It is well known that we can influence our health by pressing certain spots on our body. We can use such technique and get rid of plenty diseases including migraines. Massage the spot between thumb and forefinger on the hand. As soon as you will feel pain you found the spot. Spread fingers and press the spot more intense. Massage the spot for 5 minutes and head will stop hurting step by step. One more spot which can be pressed to get rid of annoying pain in head is spot between eyebrows. That spot gives positive results very quickly. There are two symmetrical spots where eyebrows are ending, when simultaneously you massage them with forefingers it helps very quickly to stop unpleasant feeling of pain. The spot where the hair is growing as a corner near the ears should be massaged at the same time with thumbs. Five minutes of such slight massage will help. One more secret spot is earlobe. Very helpful is massaging of earlobes until you feel warmness or even heat in them. Or you can just press them all of a sudden few times and you will feel better. Sometimes neck massage is helpful. Neck massage together with the head massage is a miracle. Especially it is recommended to massage hairy part of head. The best way of massaging yourself is putting your fingers into hair and massaging head with fingertips. We should massage hair roots and relaxing feeling will come very quickly. Warning:Unfortunately in case you have headache after some accident and you are taking treatment it is not recommended to use any self-massage. Any type of massage should be agreed with the doctor. 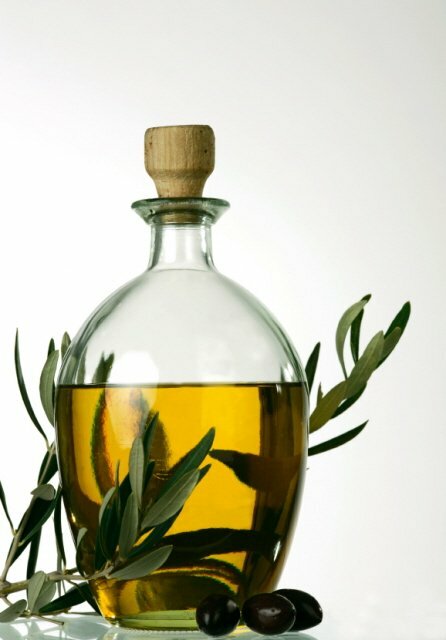 Essential oils are widely used in medicine for very long time. Origin of headache can be very different and there is a great diversity of reasons why we feel pain in head all of a sudden. Unfortunately sometimes we do not even know the reason but we want to solve the problem. Aromatherapy is great solution. Mixtures of different essential oils are working better than all kind of medicines and what is very important for us they do not have side effects. Take 100 milliliters of water (water should be icy cold or cold water with few ice cubes) and add 4-6 drops of essential oils. It can be 4-6 drops of lavender oil. If you have an opportunity, you better use mixture of essential oils: 3 drops of lavender oil and 3 drops of peppermint oil. One more essential oils mixture is as follows: 3 drops of lavender oil, 2 drops of chamomile oil and 1 drop of citric oil. Take a towel and soak it in icy cold water with essential oils. Put cold compress on the spot (forehead, temples, nape or neck) where pain is bothering you. Try to implement on different spots as sometimes pain in forehead is treated better with cold compress on the neck near the nape. For such compress we need 10-15 minutes of free time and opportunity to lie down. Unfortunately sometimes we are lacking time even for ourselves. In such situation we can use handkerchief with few drops of lavender oil. Inhale the aroma for few minutes. Result will be almost immediate. Take few drops of lemon oil. With forefingers implement essential oil on the temples. Make sure that oil is soaked by the skin. This remedy is very helpful when migraine begins. Peppermint oil is also used a lot and for very long time for treating pain in head. It can be used the same way as lemon oil on temples. The method if using peppermint oil is known since ancient Greece. Aroma lamp is a small simple system of warming up the essential oil with the help of the candle. Add into aroma lamp mixture of oils: 2 drops of lemon essential oil, 2 drops of chamomile oil, 1 drop of marjoram oil and 2 drops of lavender oil. Mixture can be different. Light the candle and sit in the room inhaling the aroma of essential oils. Aromatherapy is well known therapy and is used in some hospitals and even now is popular in spa centers. You can create your own spa center at home and it will cost you close to nothing. Result will surprise you. 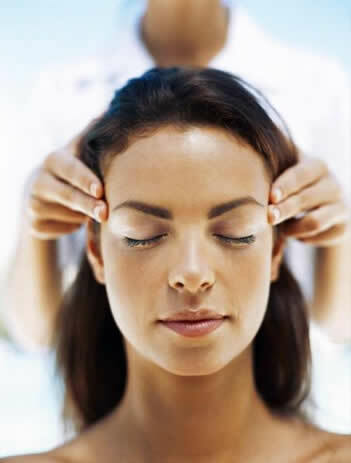 Your head will feel immediately better and you will notice overall relaxing effect on your body. Prepare hot bath full of water and add few drops of essential oils. Essential oils can be added up to you. As soon as you will start treating yourself with bath with essential oils you will notice that one type of essential oil works for you better than another. You can start with such combination of essential oils: 2 drops of orange, 4 drops of peppermint and 4 drops of geranium oil. Experiment with aromas. Try citric and lemon, add lavender and other essential oils up to your taste. Warning: Be careful with essential oils when you implement them on the skin. Before first use better check your skin on allergic reaction to essential oils. 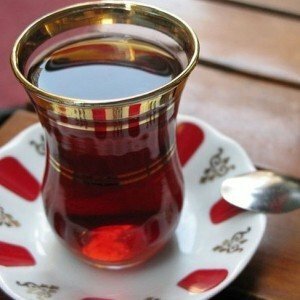 Strong tea is known as a quick and helpful solution from all types of pain in head. Sometimes it is enough even to have one cup of strong black tea without sugar and you will immediately forget that something was bothering you. Instead of sugar you can add one teaspoon of honey. Honey will add an incredible taste and flavor. Tea has a substance that stimulates the central nervous system. The influence is quite light if we will compare to the coffee effect. That is why tea is more recommended. Tea provides flow of the oxygen to the brain. Vessels of brain no longer suffer from spasms. The result of tea effect on the organism is improving of oxygen circulation and normalizing of overall feelings. Very often the headache occurs when we experience lack of oxygen in blood cells. As soon as lack is filled everything comes back to normal. Green tea should be taken as soon as you feel first symptoms of unpleasant head pain. Preparation of green tea is a bit different than black tea. Usually you can add a pinch of mint into green tea when you are pouring it with hot water. It is excellent remedy for painful feeling in head caused by fatigue, tiredness, PMS and problems with vessels in brain. Effect of the green tea is similar to the black tea. Green tea should be consumed on the empty stomach in order to provide best result. Recipe is simple and doesn’t take much time for preparation. Green tea should be brewed in the porcelain teapot and poured into cup. We should add a bit of honey. Honey is good anti-inflammatory ingredient. Additionally honey helps to cure flu and fever. When the tea is ready to be consumed it should be consumed very slowly with small sips. As green tea is influencing blood pressure it is not recommended to drink it in one gulp. After consuming tea patient should lie down for 20-30 minutes wearing something warm. It is always important to buy tea in leaves. Tea in teabags does not contain those important healing qualities which we need to get from the tea. Warning: Strong tea should be carefully consumed be people having issues with blood pressure and small kids. Very often our body is trying to tell us that something is wrong and gives us hints. One of such hint is pain in the head which in fifty percent of situation means absence of needed liquid in the body. If we will think about it we can basically say that drinking one glass of pure and filtered water can solve the problem. Once body will get enough of moisture (we should continue drinking water in small sips during the whole day) the pain will begin to weaken and eventually will disappear. 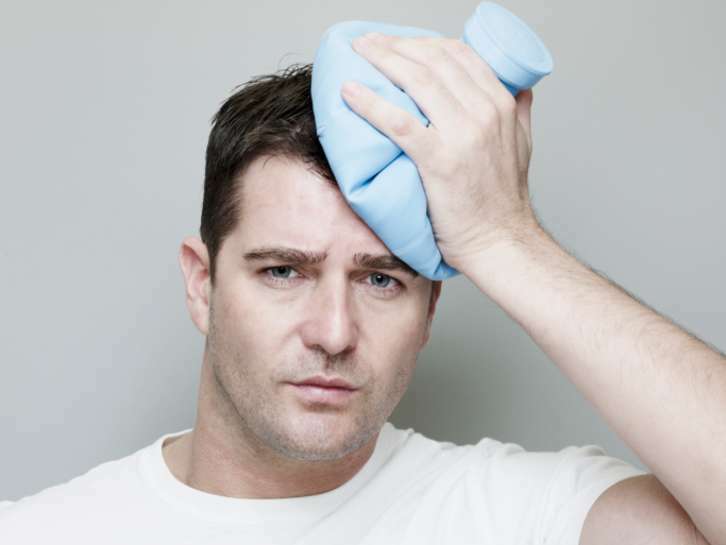 Ice compress helps to solve headaches and migraines. 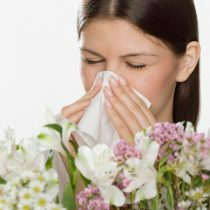 Make sure you do not have pain in neck or a runny nose. Take a piece of fabric and put inside few pieces of ice. Make sure that water is not going through fabric. You can use a towel or use few layers of fabric. Put compress on the forehead and lie down. Ice compress is so simple that some people cannot believe that it can help. Try once and you will almost immediately feel better. Lie down with compress for 10-15 minutes. Even though it sounds quite strange believe me cold bath is very effective. Cold water makes head clear and acts stimulating. Put your hands till the elbow into bowl of cold water or under the cold running water for few minutes. Rub the skin of the hands with the towel very hard until you will get burning feeling. People with heart diseases should not use this remedy or any remedy with cold water. In the case you cannot stand cold water you can try warm water. Take warm water put it into warmer and set it on the neck. In case the head pain is caused by stress this remedy is very helpful. Instead or additionally to warm compress you can take a hot shower. Fill the tub with hot water and dip both your hands into it for 10 minutes. You can take a chair and sit near the bath. This method improves blood circulation which helps to get rid of annoying pain. In case you are suffering from chronic migraines you can keep your feet in a bucket of hot water for approximately 10 minutes every day. Warning: When you are suffering from a headache stay away from all kinds of drinks which can dehydrate your body (all types of caffeinated beverages). Unfortunately we suffer from pain quite often without having any idea why it is happening so. Basically we can learn simple rules of behaving and tips in lifestyle which will help to get rid of annoying problems. Eat regularly. You should not stay without food longer than five hours. Sometimes hunger can be causing unpleasant pain in head and it will disappear as soon as you will eat. Do not smoke or drink alcohol on the sun. It is not a secret that alcohol can cause headache especially when consumed in big amounts. Some alcohol is worse than another (red wine causes painful feeling much more often than other types of wine). It is better to avoid red wine completely if you are suffering from migraines. Sit with straight back. Sitting in an appropriate for muscles position is providing not only beautiful posture but also relaxes neck and shoulders which when staying in uncomfortable position can cause headache. Exercise regularly. Amount of endorphins is increasing when person is doing physical exercises and this hormone is reducing pain. If your aim is to cure your body without pills it is sometimes enough just to increase your physical activity. Make exercises at least 20 minutes a day three times a week. Eat honey. In case you suffer from chronic migraines you can eat one or two teaspoons of honey before every meal. Use honey instead of sugar in your tea. Consume lemon. Lemon is known as one of the most effective means against pain in the head. Juice of lemon should be added to a tea or water. It will immediately help. Doing exercises doesn’t mean that you are forced to do one type of exercises. There are plenty of options. You can walk, do aerobics, run or swim. Choose type of physical activity according to your taste. Warning: You should know that daily recommended dosage of honey for adult is from 60 to 100 grams. It should be divided into three portions. Small amount of sweet honey can prevent severe pain in your head. 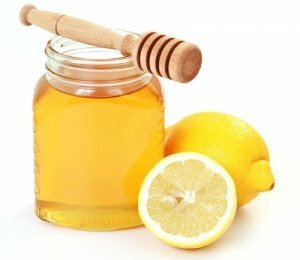 Honey is preventing plenty of diseases and is used in homemade beauty and health recipes all the time. ← What should be done to get rid of tendonitis in foot?